The black UFO was spotted by a regular person in Scotland, and has sparked a debate as to whether it is proof of alien activity. The footage was shot in Crieff, Perthshire, Scotland, and the person behind the video sent it to UFO investigation team MUFON. MUFON uploaded the video to its YouTube page, leaving may wondering whether it is real or not. “I was viewing it moving from my left to right, it does appear cigar shaped as it moved horizontally. However, this is not the first time a UFO has been spotted in Scotland. Conspiracy theorists believed they hit the jackpot when a video emerged of something strange circling in the night sky over Kippen in September this year. The bizarre footage shows something floating around in the sky with a strange material seemingly leaking from it. 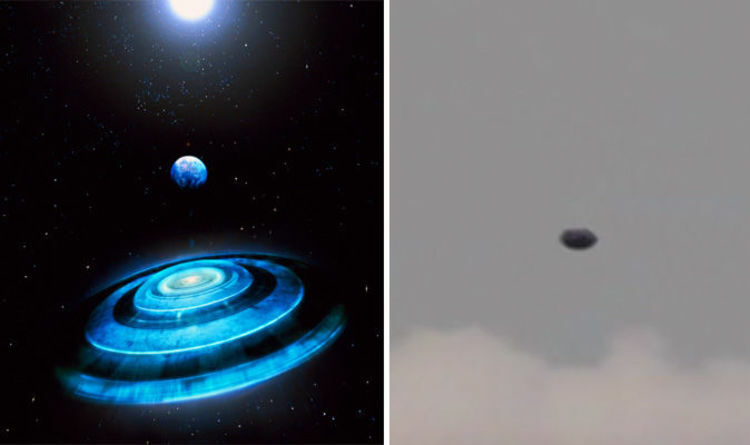 However, there does seem to be a more logical explanation for the strange UFO. According to locals who have taken to the social news aggregator site Reddit, the strange sightings were caused by people attaching sparklers to kites.